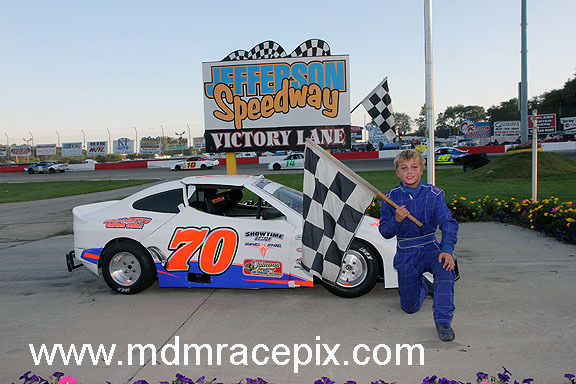 The first Late Model feature began with Dylan Schuyler and Jacob Nottestad on the front row. 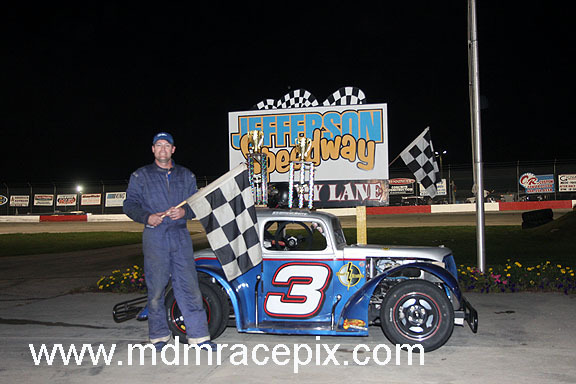 Shaun Scheel joined the duo on lap two as they raced three wide for the top spot. Nottestad emerged with the lead while Scheel moved into second. 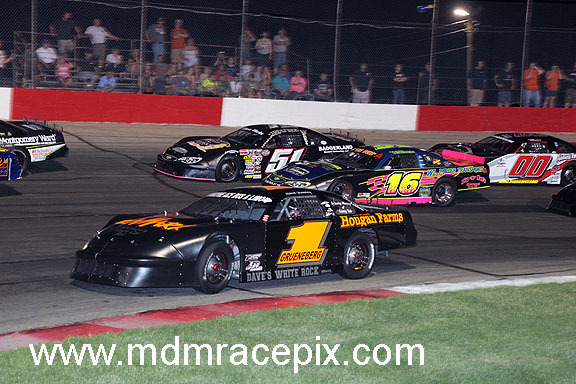 Johnson entered the top three on lap six just before the first caution of the race slowed the action. Johnson dove under Scheel once racing resumed, grabbing second and setting his sights on Nottestad on the point. Johnson paced the leader for many laps, waiting for the right moment to make his move. After the second caution of the race on lap 36, Johnson decided the time was right. After a couple attempts, Johnson drew even with Nottestad on lap 39. A lap later, Johnson slid into control of the lead. 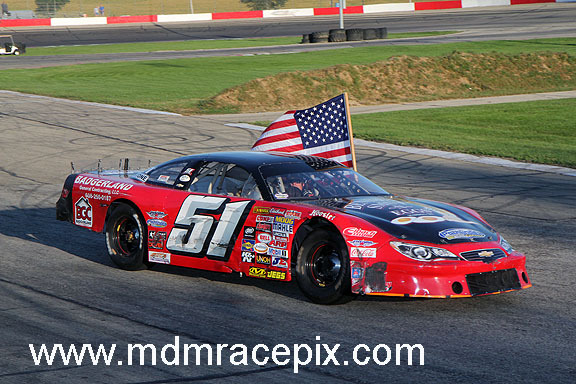 Michael Grueneberg moved up to second, slipping past Nottestad on lap 46. A final caution with three laps to go set up a shootout to the finish. But Johnson stayed strong out front to see the checkers first with Grueneberg, Dale Nottestad, Jacob Nottestad and Riley Stenjem rounding out the top five. 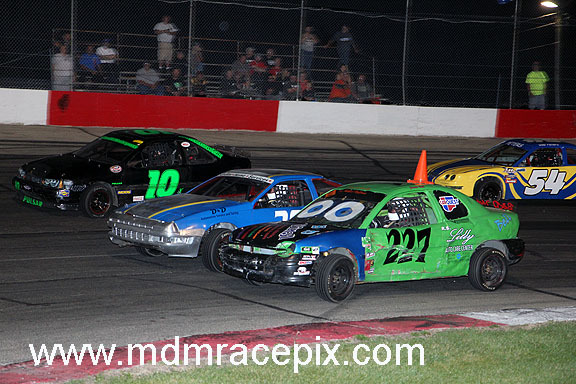 Craig Phillips grabbed the lead of the second 60 lap feature as 24 cars roared past the green flag. 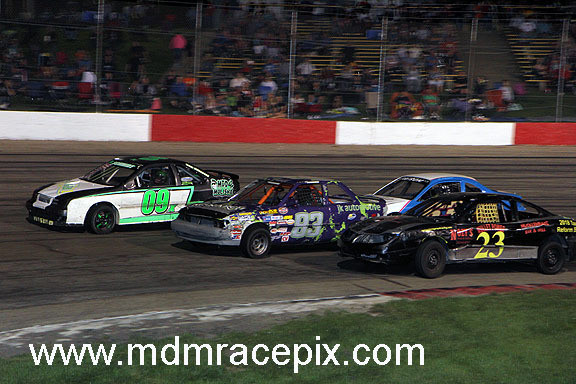 Phillips quickly opened up a healthy advantage while Steve Dobbratz and Jerry Eckhardt battled side by side for second. 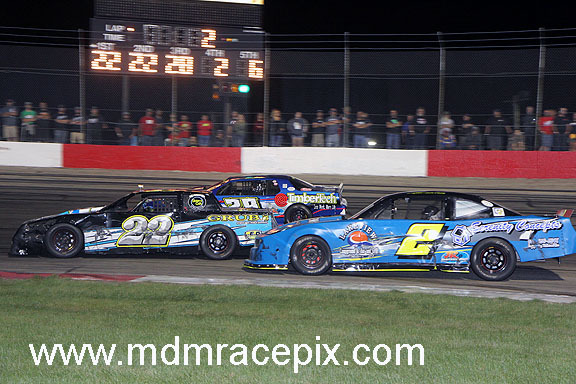 Phillips continued to pull away while the field lined up two by two behind Dobbratz and Eckhardt. Dobbratz finally emerged with the second spot on lap 13 with Luke Westenberg following up to third. Westenberg got under Dobbratz on lap 20, taking away the second position two laps later. Westenberg drew up behind Phillips, powering under the leader and taking away the top spot as they raced off turn four. 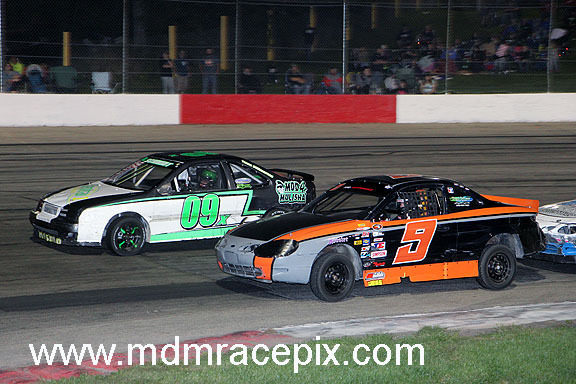 Stephen Scheel took a turn under Phillips, moving into second just before the first of two caution periods slowed the pace on lap 26. After the second caution on lap 29, Scheel slid under Westenberg looking to steal the lead. 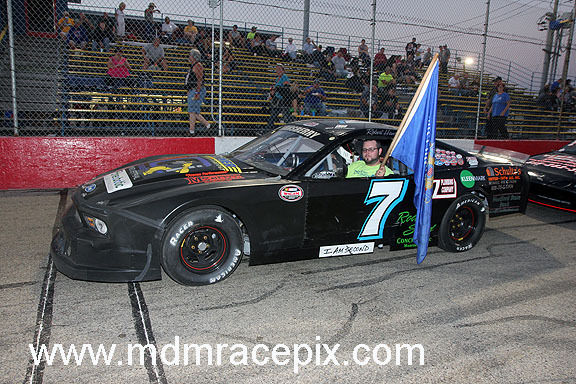 Shaun Scheel drove up to watch the battle for the lead from his third place position. Stephen Scheel moved out front alone on lap 36. 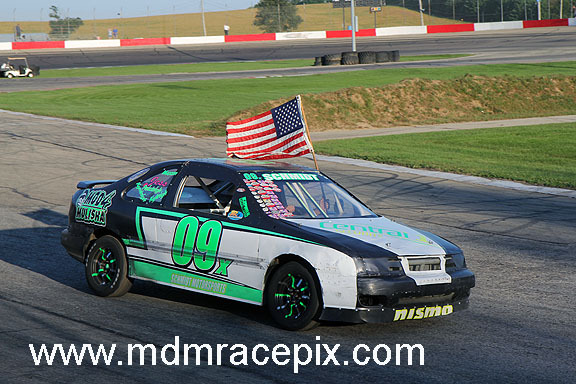 Shaun Scheel followed his brother past Westenberg for second, bringing Grueneberg along for third. Grueneberg quickly dove under Scheel, taking away the second position while Johnson moved up to follow into third. With ten laps to go, Grueneberg slipped under Stephen Scheel. 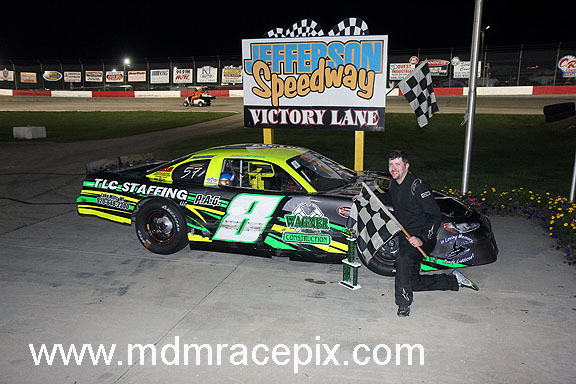 Using a lapped car as a pick, Grueneberg cleared for the top spot. 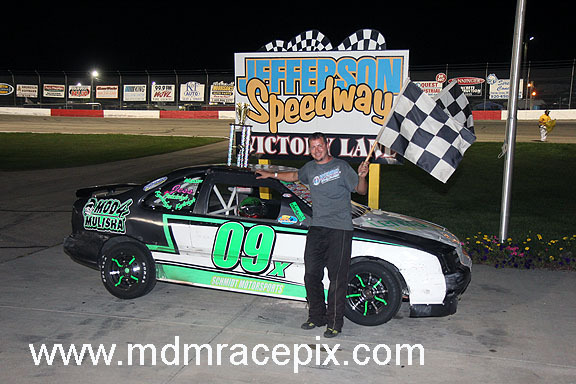 Johnson got past Scheel in the closing laps for second, but it was Grueneberg crossing the stripe first to collect the win. 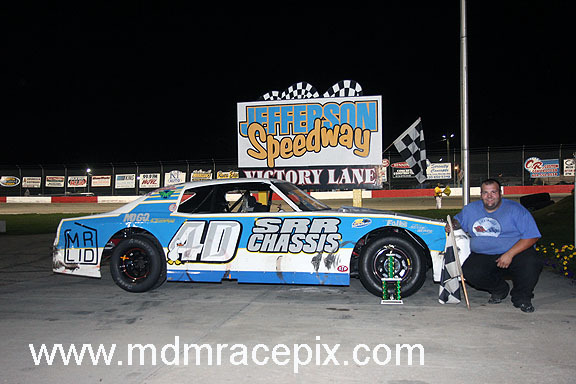 Johnson settled for second followed by Dale Nottestad, Stephen Scheel and Riley Stenjem. 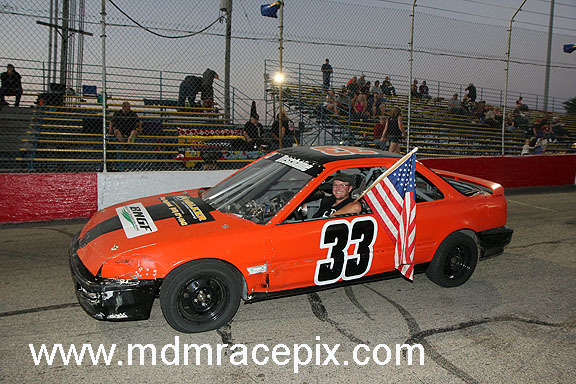 The first of twin 35 lap Sportsman features began with Randy Breunig firing into the lead from the pole. Tim Coley dropped in line in second as the battle for third raged behind him. 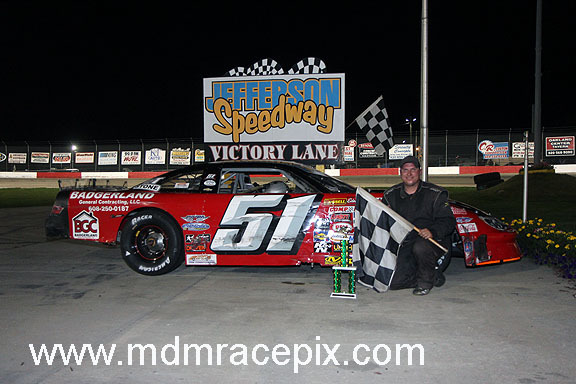 On lap five, Robert Hansberry Jr emerged in the third position. Hansberry drew in behind Coley, searching for an opening. On lap ten, Hansberry took to the high side, pulling up next to Coley. A lap later, Hansberry was alone in second and trying to cut into the large lead Breunig had built. Hansberry chipped away at Breunig’s advantage, finally catching him with six laps remaining. 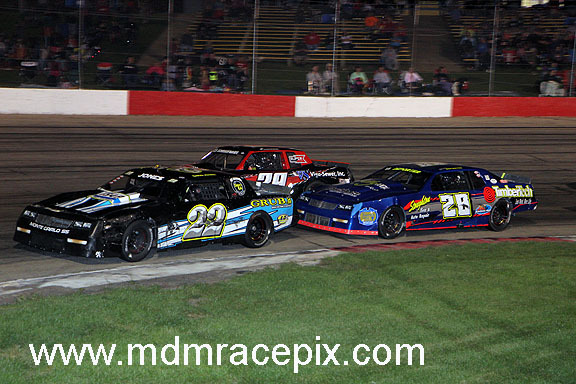 After spending a couple laps on Breunig’s bumper, Hansberry drove under the leader as they exited turn two. 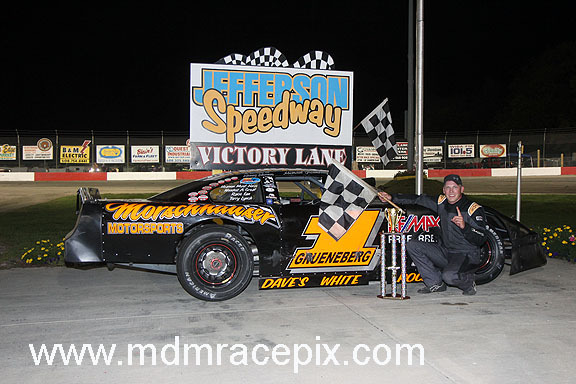 After tiptoeing around lapped traffic, Hansberry moved out front and drove off to claim the checkers. Breunig was second followed by Jason Thoma, Coley and Kyle Chwala. 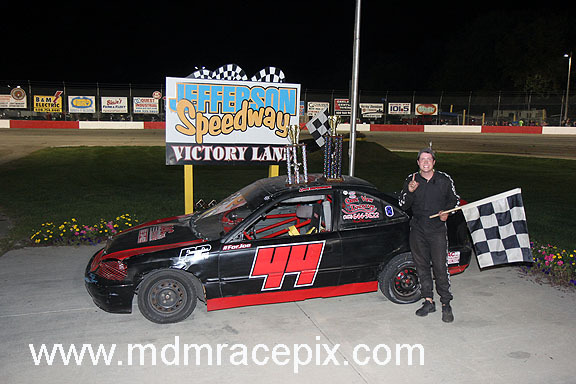 Brady Lilly took command of the top spot early in the second 35 lap feature while Terry Wangsness and Mark Deporter battled for second behind him. Deporter eventually took the spot on lap ten with Wangsness back to third and Chris Jones in fourth. 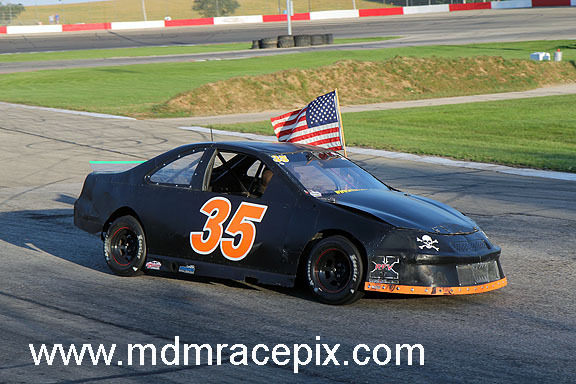 After a caution at the halfway point of the race, Lilly continued to lead. On lap 19, Hansberry experience mechanical issues, forcing him to slow. An incident ensued as drivers tried to check up behind Hansberry, forcing another yellow flag. 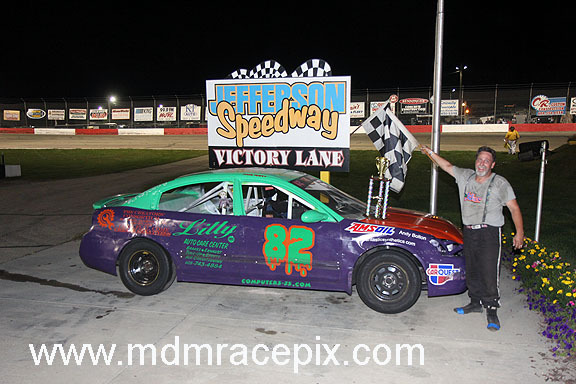 Through it all, Lilly remained in control at the front, leading every lap on his way to the checkers for the win. 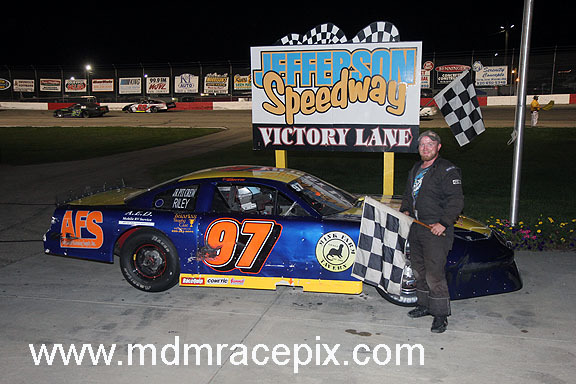 Jones came home in second with Mark Deporter, Jason Thoma and Randy Breunig completed the top five. 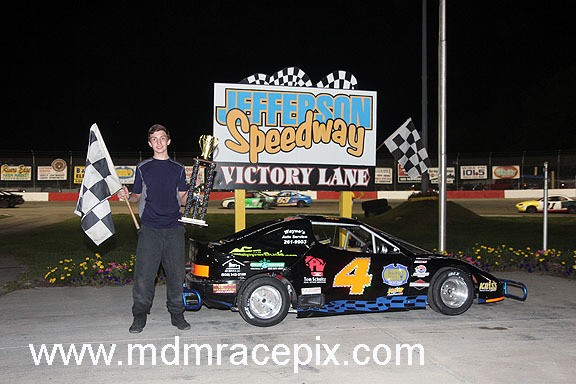 With his combined finishes of third and fourth, Thoma was declared the overall Sportsman champion. Twin 20 lap International features began with Nick Schmidt taking the early lead. Mark English quickly made his way up to second with Brandon DeLacy in tow for third. DeLacy went to work on English, getting alongside on lap ten while Schmidt stretched his lead. DeLacy cleared for second on lap 12, just before the sole caution of the race. 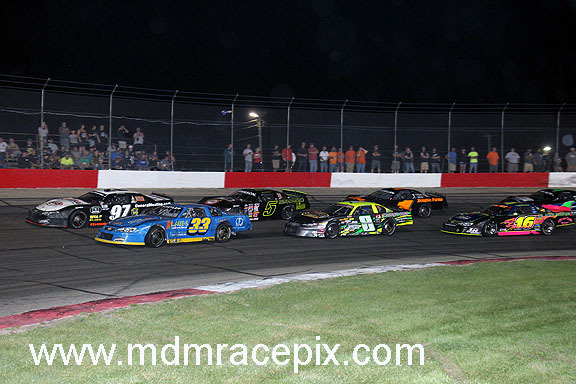 Schmidt and DeLacy led the field back to green with DeLacy grabbing the lead on the restart. 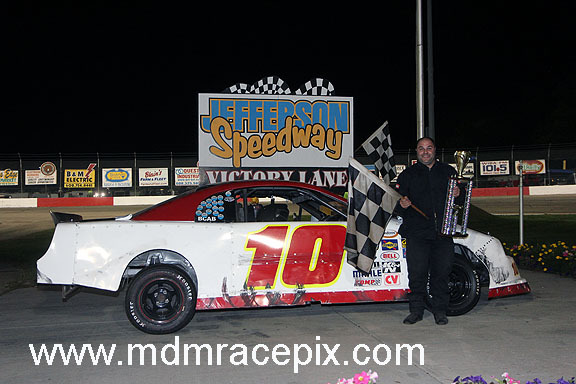 Gary Stark and English got around Schmidt in the closing laps, but it was DeLacy driving off to get the win. 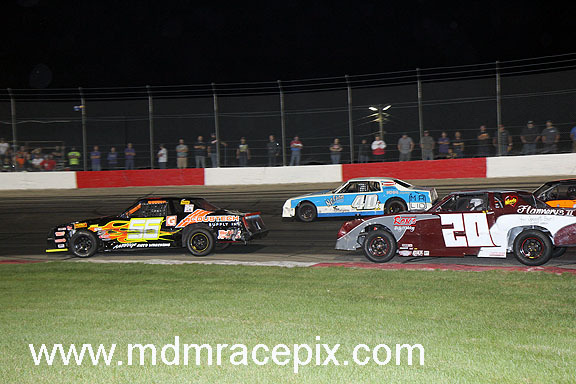 Stark, English, Schmidt and John Handeland rounded out the top five. George Seliger moved into the lead as the second 20 lapper got underway. James Junget moved up to second just as the first of two cautions waved on lap three. Seliger and Junget led the pack back to green with Seliger reclaiming the top spot. Chris Gottschalk moved up to second on lap five with Nick Cina in his tracks for third. Cina immediately dove under Gottschalk, taking away the runner up position and moving up to challenge Seliger at the front. 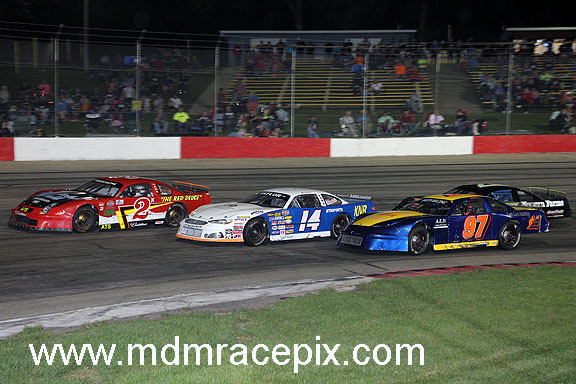 Cina took to the outside groove, drawing even with Seliger just as the second and final caution waved on lap 11. 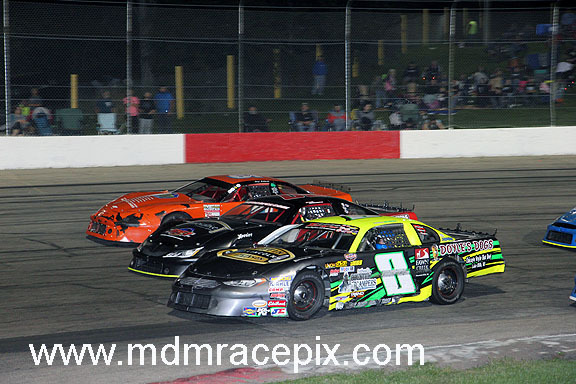 Cina fired into the lead on the restart while DeLacy followed past Seliger for second. DeLacy began to challenge the new leader, but Cina held him at bay through the final laps to the checkered. 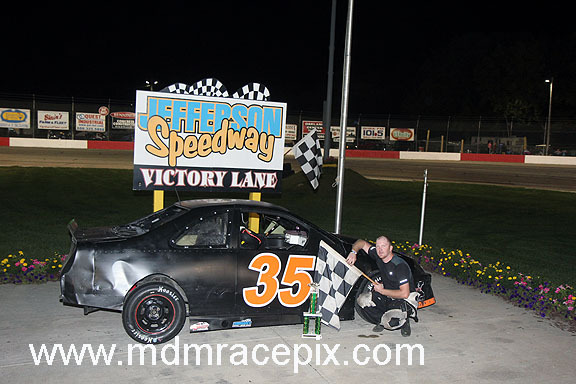 At the finish, it was Cina for the win followed by DeLacy, Seliger, English and Handeland. DeLacy was crowned the overall champion for the International division. 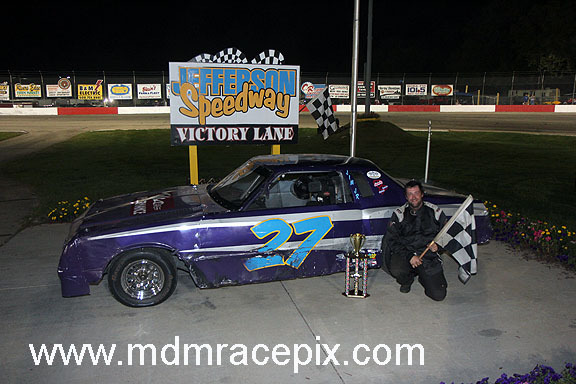 Whitewater’s Lucas Buckingham dominated the first of two 25 lap Hobby Stock features en route to the win. Buckingham took command on the opening lap from the front row. 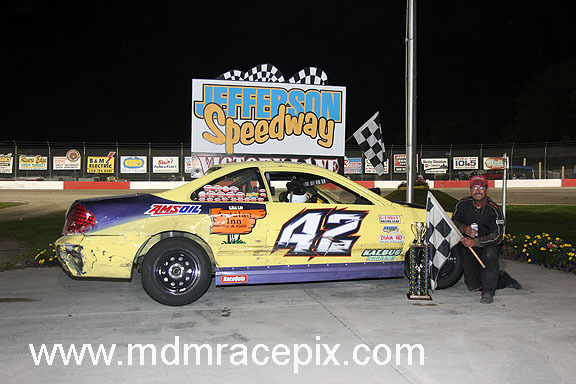 Jimmy Robinson fell back into a battle for second with Phillip Wuesthoff. 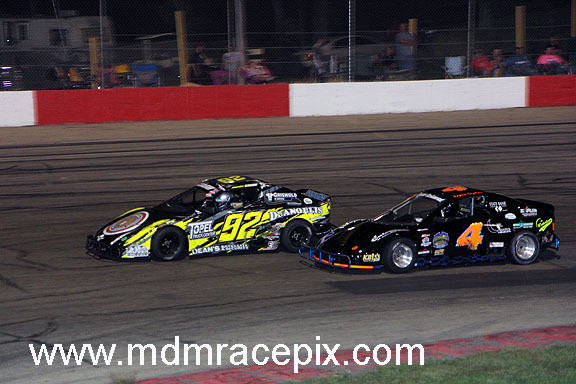 After fighting for several laps, Wuesthoff moved into second alone on lap eight. 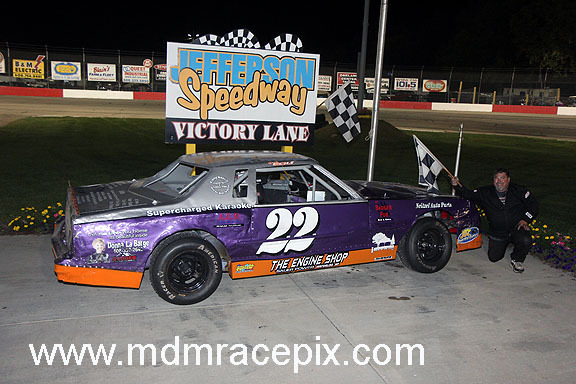 Buckingham remained out front, running the remainder of the race unchallenged to get the win. 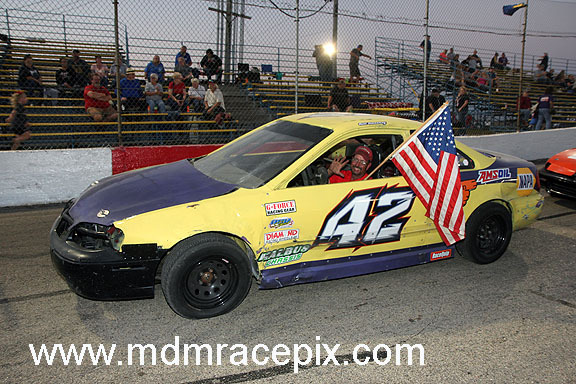 Wuesthoff was second followed by Dave Trute, Dustin Ward and Brandon Riedner. 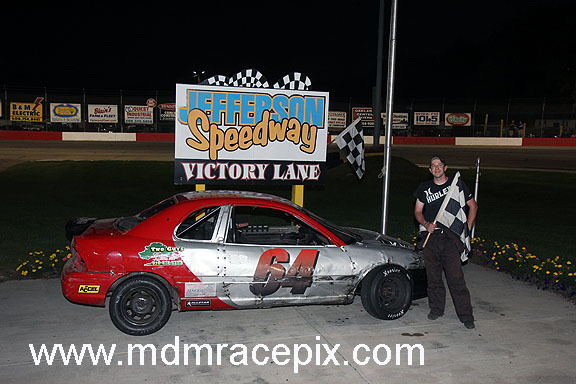 Christian Janssen and Jon Benninger brought the second Hobby Stock feature to the green as they battled wheel to wheel. Janssen cleared for the top spot on lap three with Kolton Guralski moving up to challenge Benninger for second. Guralski grabbed the position and continued forward next to Janssen. 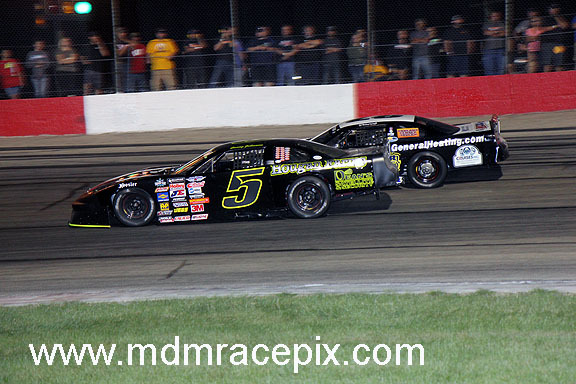 Meanwhile Jim Tate Jr was creeping up on the low side of the two leaders. 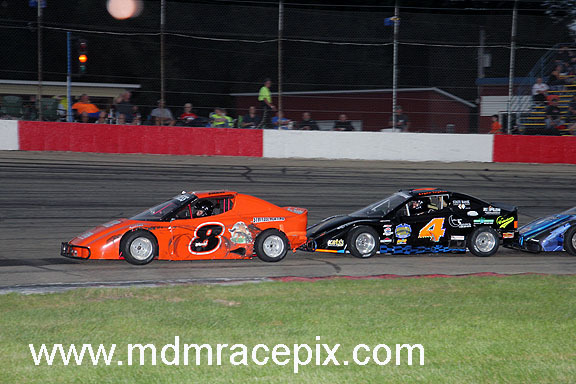 On lap eight, Guralski and Tate moved past Janssen as they raced side by side into turn one. Tate cleared a lap later, bringing Brandon Riedner along for the ride. 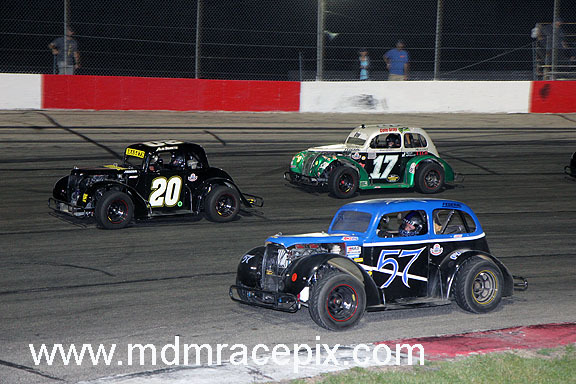 Dave Trute joined the battle up front as he, Tate and Riedner raced closely for position. 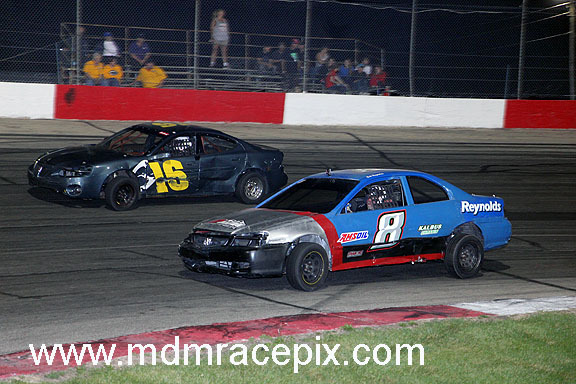 After swapping positions several times, Riedner drove under Trute as they raced off turn four. Riedner got loose, collecting Trute as they both made hard contact with the front stretch wall. The incident ended the evening for both competitors. 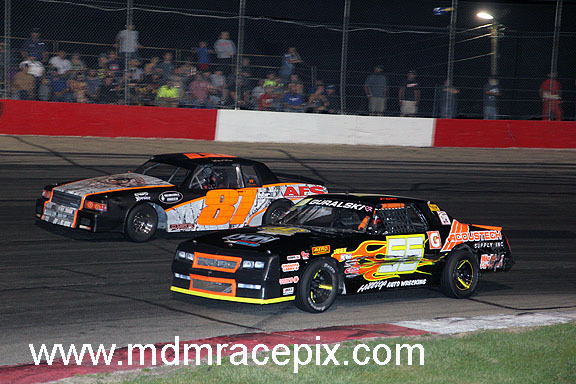 After another quick caution, Tate continued to show the way with Guralski back up to second. 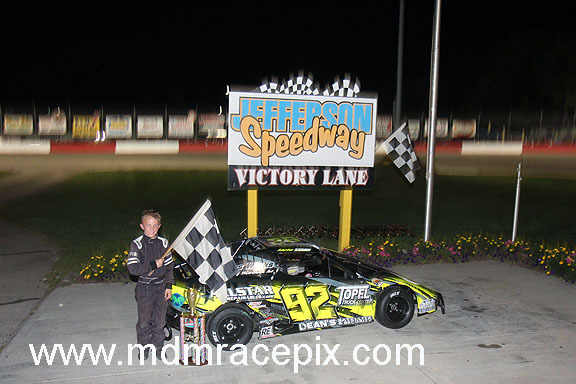 Tate stayed strong out front in the closing laps, taking the checkers for the win. 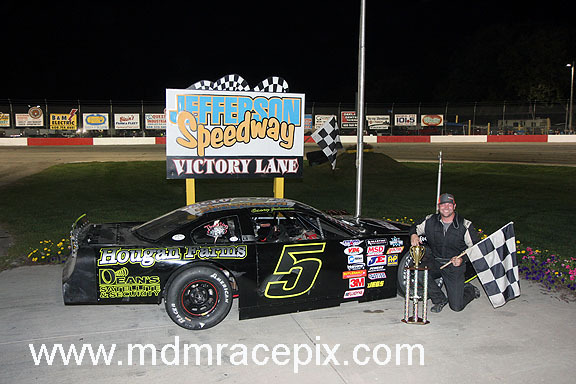 Guralski was second with Dustin Ward, Buckingham and Chester Williams completed the top five. 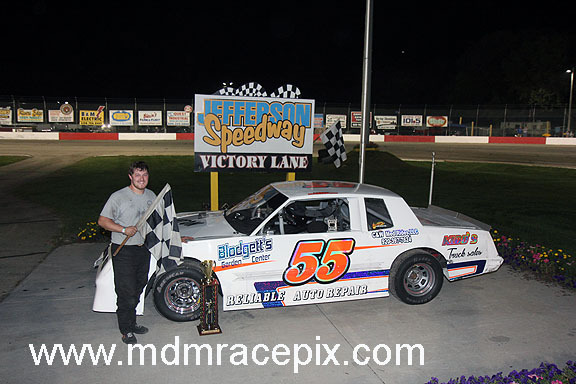 With his two strong finishes, Buckingham was named the overall Hobby Stock champion. The first of two 20 lap Road Warrior features began with Bryan Gottschalk taking the early lead on lap one. Rodger Stephenson charged up alongside Gottschalk to take to take the top spot on lap two with Bill Reynolds up to second. Reynolds dove under Stephenson on lap six, clearing a lap later for the lead. Reynolds began to stretch his lead while Bill Sweeney made his way toward the front. 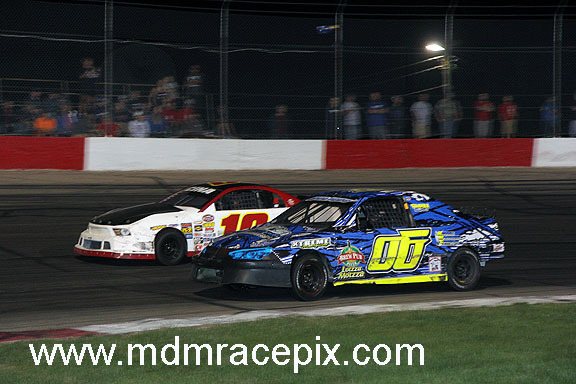 Sweeney took over the second position on lap 13 and immediately began to run down Reynolds at the front. Sweeney inched closer to the leader as the laps ticked away. With two laps to go, Sweeney caught Reynolds and began to peek to the inside of the leader. 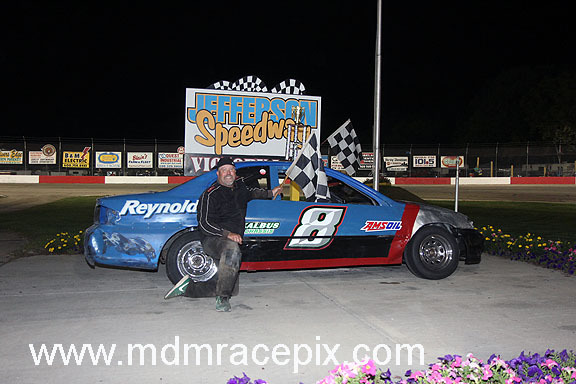 Sweeney drew even with Reynolds on the final lap as they duo raced side by side. 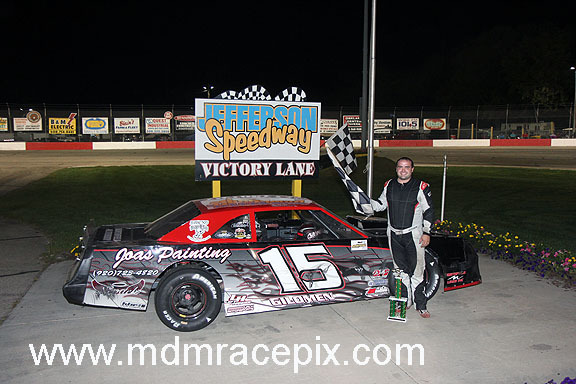 Reynolds held the slight advantage as they flew past the checkers to score the win. 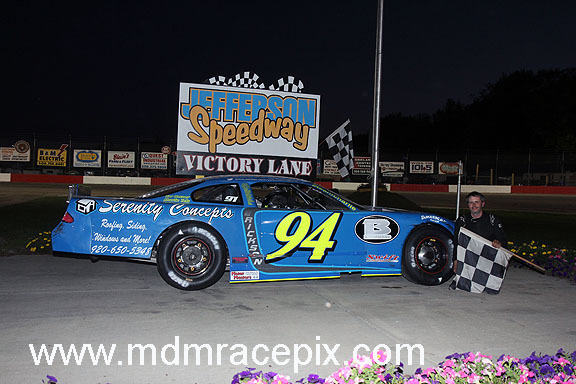 Sweeney settled for second followed by AJ Accardi, Stephenson and Jasper Gronert. Mark Dewey sped out to the lead of the second 20 lap feature. 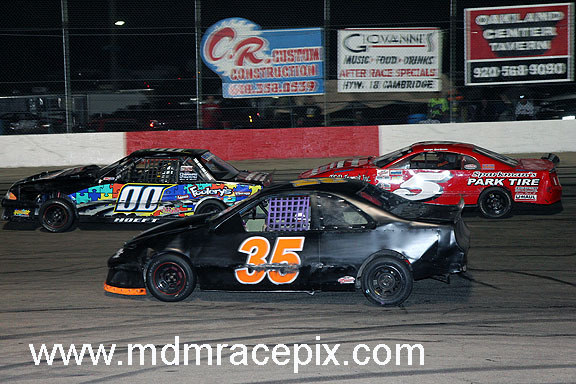 After an early caution, Dewey began to stretch his lead while AJ Accardi raced up to second. 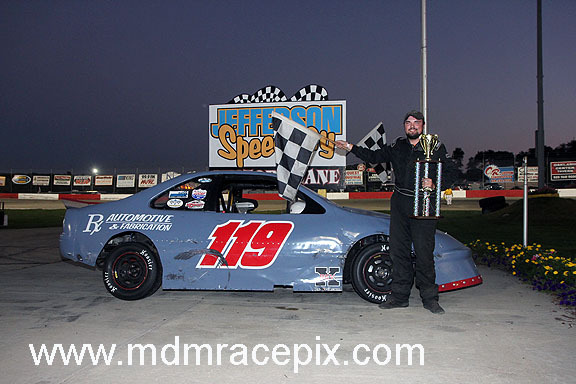 Dewey ran the remainder of the race unchallenged, leading every lap to get the win. 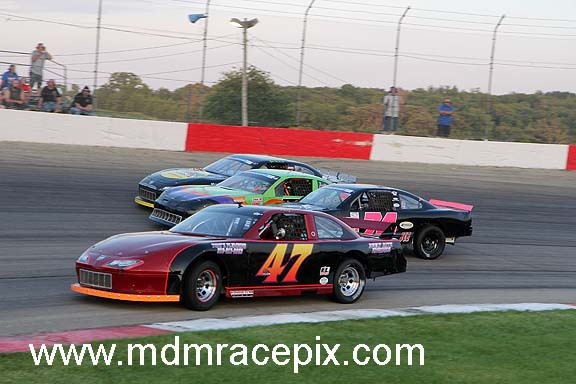 Accardi was second followed by Bill Sweeney, Bill Reynolds and Jordan Lamb. 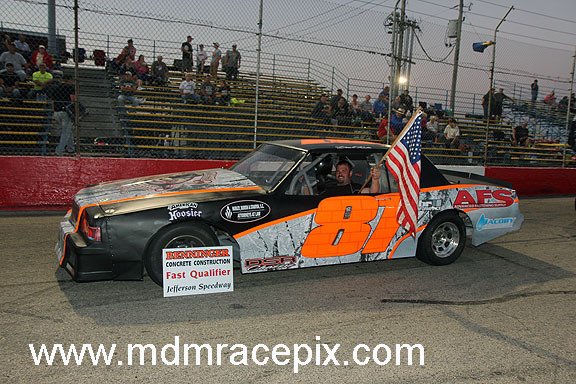 Bill Sweeney captured the overall Road Warrior championship with combined finishes of second and third. 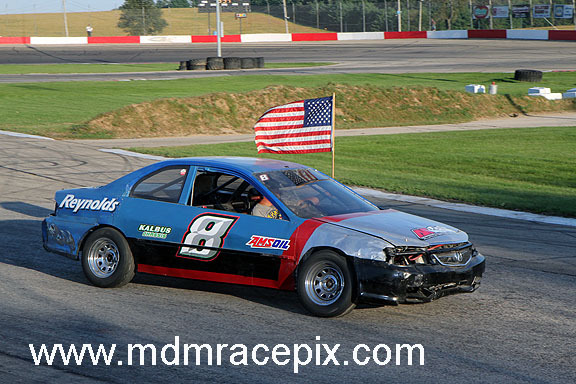 Garrett Konrath grabbed the lead on lap one of the first 20 lap Bandit feature with Bill Kohn up to second. 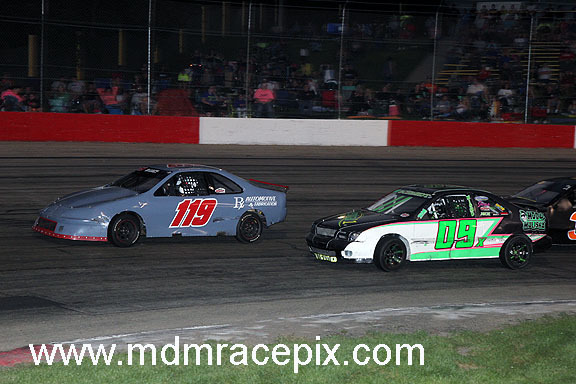 After an early caution on lap two, Konrath returned to the lead while Nick Schmidt used the high side to drive up to third. 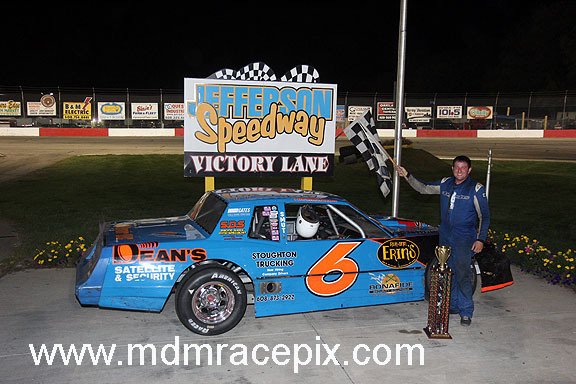 Schmidt drew even with Bobby Frisch as they raced for second. Schmidt took the spot and continued forward alongside Konrath, looking to grab the lead. Schmidt moved past Konrath and into the top spot on lap ten. 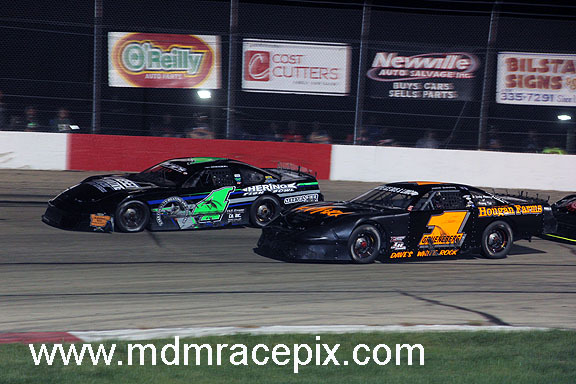 Schmidt immediately began to pull away while Frisch worked his way around Konrath for second. 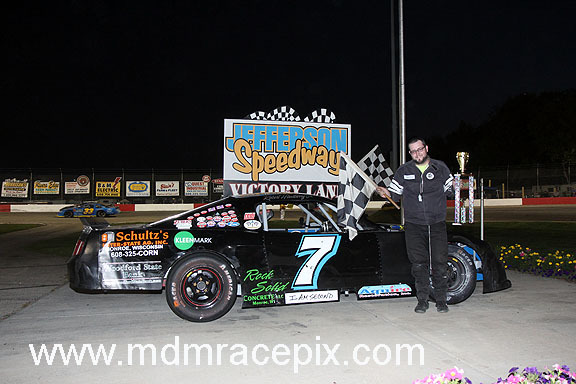 Schmidt cruised to the checkers from there to score the win with Frisch, Brandon Junget, Konrath and Chad Olds rounded out the top five. Bandit feature number two started with Lyle Phillips grabbing the lead. After two quick cautions, Phillips and Zach Greer brought the field back to green. 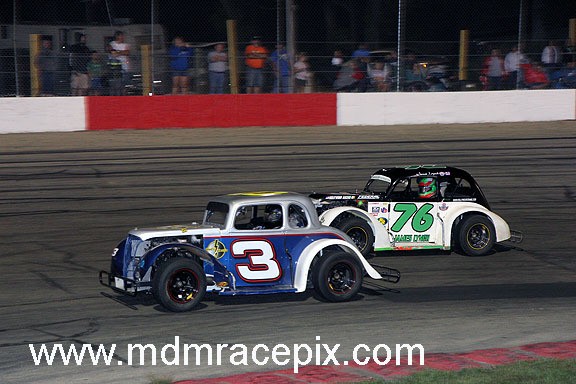 Greer overtook Phillips as the new leader on the restart while Nick Schmidt moved up to challenge for second. Schmidt drove to the high side of Phillips on lap seven, clearing for second a lap later. On lap ten, Schmidt got sideways in turns one and two, allowing Phillips to move back up to second. 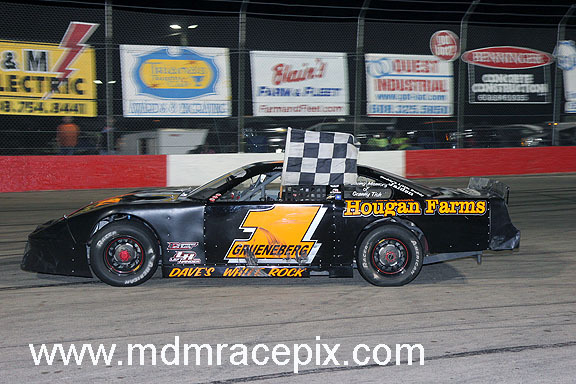 Greer survived a final caution on lap 12 as he drove away to get the win. 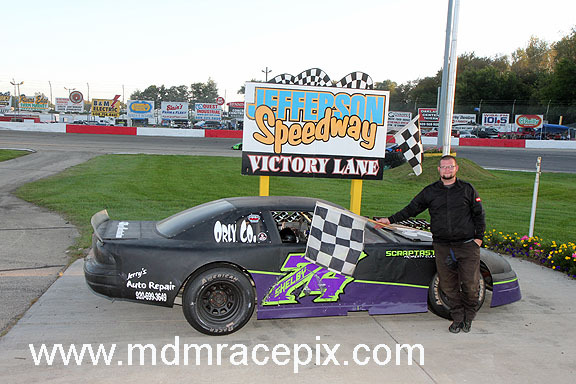 Phillips was second followed by Josh Rusch, Chad Olds and Bobby Frisch. 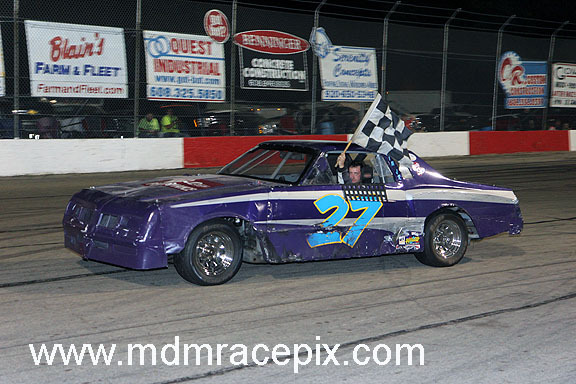 With combined finishes of first and sixth, Greer was crowned the overall Bandit champion. 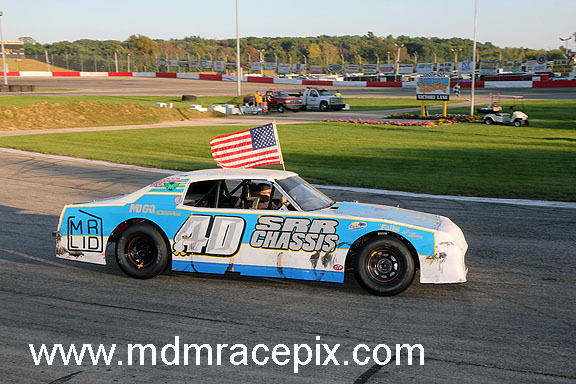 Alex Braseth grabbed the lead on lap one in the first of two 20 lap Legends features. 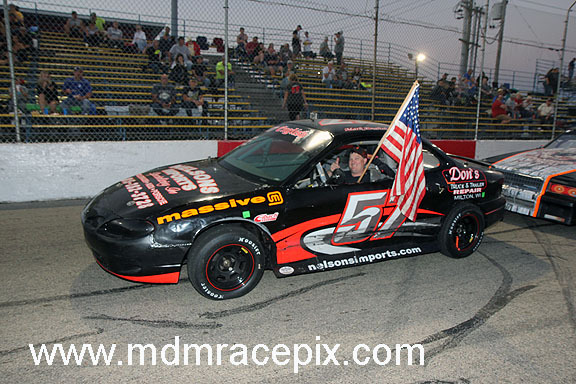 Mike Storkson moved up to second briefly on the opening lap as well. Cole Grey got by Storkson with Ryan Braseth up to third. 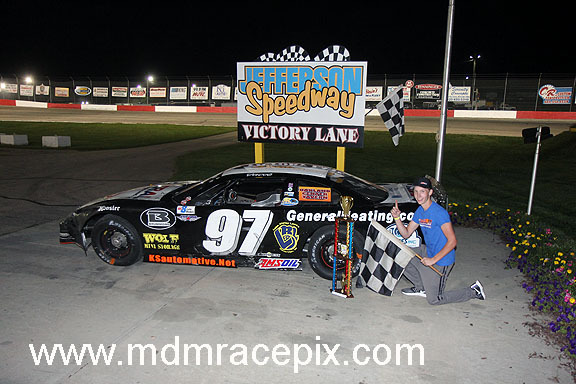 Alex Braseth dominated every lap of the 20 lap feature event as the field lined up single file behind him. 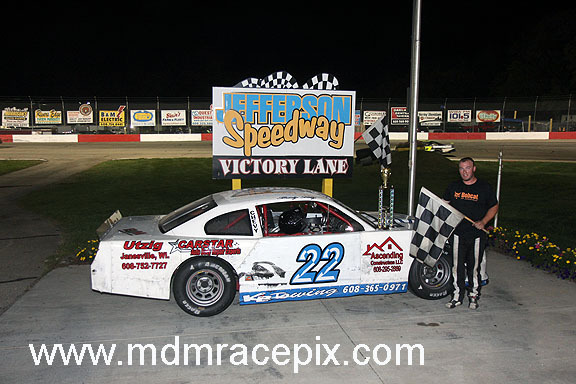 At the checkers, it was Alex Braseth with the commanding win followed by Grey, Dave McCalla, Dillon Schwanbeck and Frank Beutel. 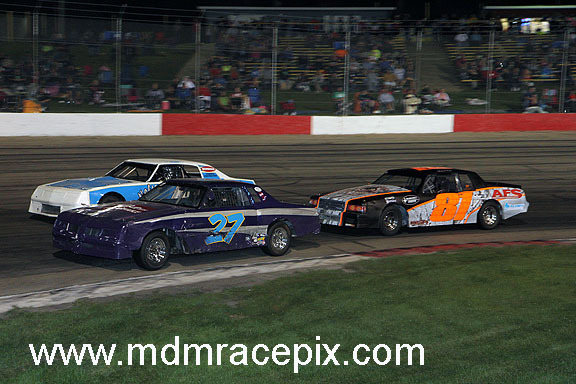 Lucas Stevenson and Ridge Oien paced the second Legends feature to the drop of the green with Stevenson briefly taking the lead. James Lynch fired past Stevenson to take over the top spot before the completion of lap one. Mike Storkson followed into second with Ryan Braseth up to third. 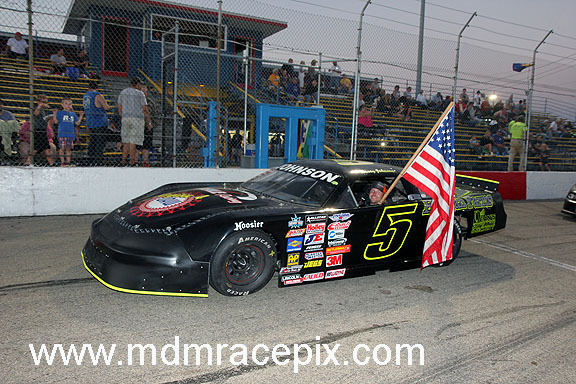 On lap eight, Dave McCalla entered the top three, getting by Braseth and drawing even with Storkson. McCalla cleared Storkson on lap 11 as he moved up to challenge the leader. 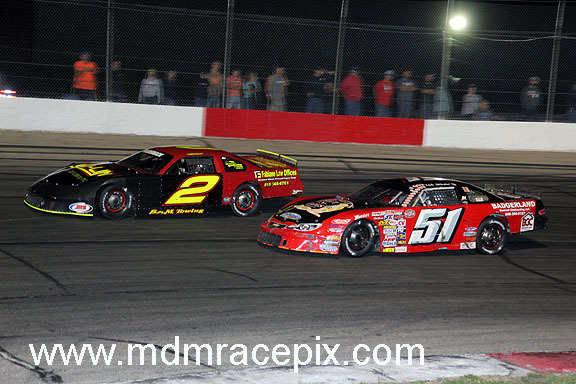 McCalla got under Lynch with seven laps to go, making the winning pass complete a lap later. 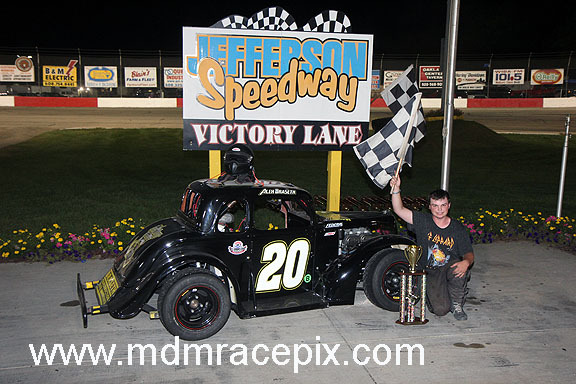 McCalla cruised to the checkers from there to get the win. Ryan Braseth moved up to finish second with Lynch, Storkson and Dillon Schwanbeck rounding out the top five. 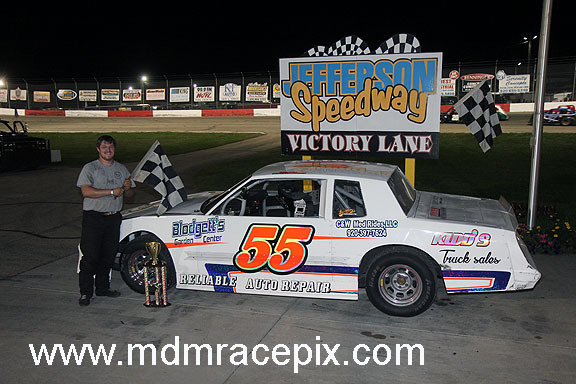 McCalla, from Cedar Rapids, IA, was named the overall Legends champion. 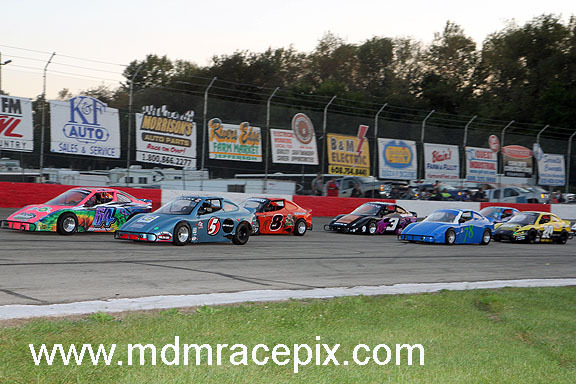 Twin 20 lap Bandolero features began with Robbie Rucks leading and Chase Wangsness quickly up to second. 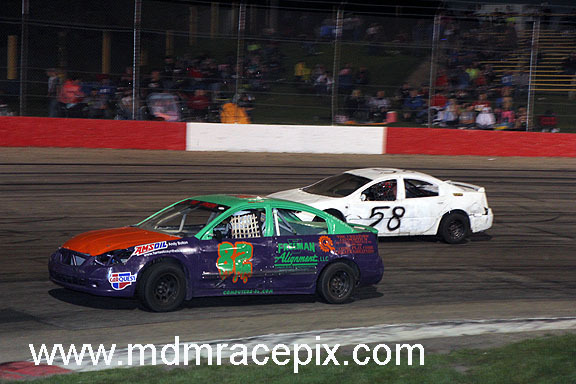 Wangsness began looking to the outside of Rucks until a caution on lap seven halted his efforts. Rucks and Wangsness paced the field back to green. 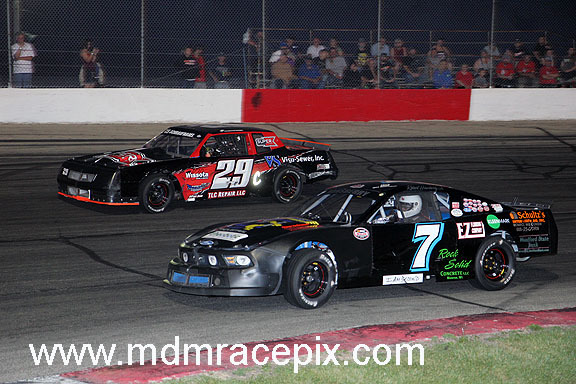 The duo battled for control of the top spot on the restart with Wangsness eventually gaining the spot on lap 11. Wangsness maintained the lead through three quick cautions just past the halfway point of the race while Logan Taylor pulled into the second position. Taylor stayed close to Wangsness as the laps ticked away, but Wangsness had him covered to capture the win. Taylor was second followed by Michael Guderski, Jevin Guralski and Alex Hartwig. Anna Price took the early lead of the second feature with Karter Stark back to second. On lap four, Stark drew back alongside Price with Tyler Muller moving up to third. 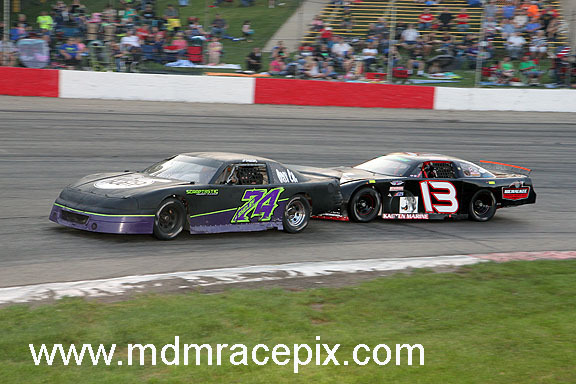 The caution flew on lap seven with Muller and Price made contact. Stark and Laney Osborne led the field back to green with Stark moving into the lead and Logan Taylor following into second. 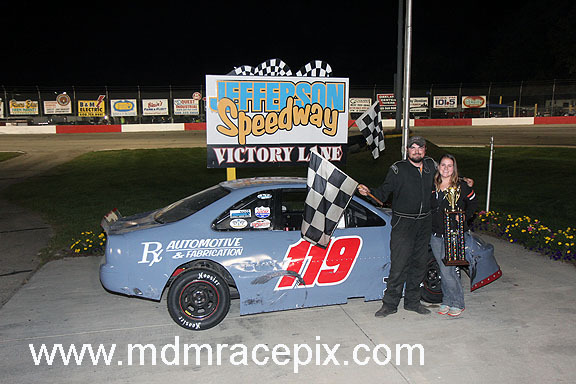 Stark continued to show the way through cautions in the closing laps as he picked up the win. Taylor was second with Osborne, Alex Hartwig and Jevin Guralski completing the top five. 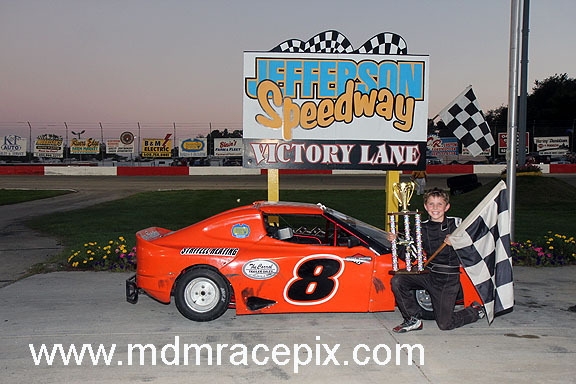 With two second place finished, Logan Taylor claimed the overall Bandolero championship. 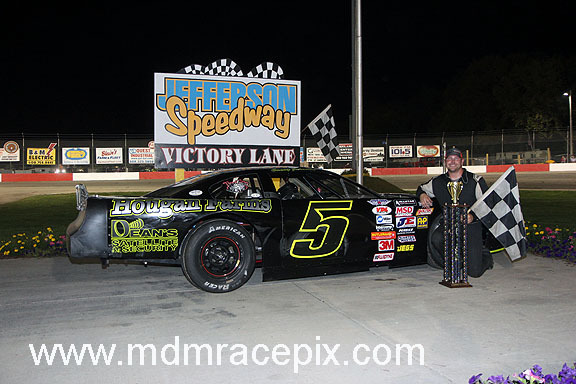 This marks the end of the 2018 racing season at Jefferson Speedway. Next Friday is the final round of the Jefferson Speedway Track Attack and Saturday is the Tournament of Destruction World Championships. 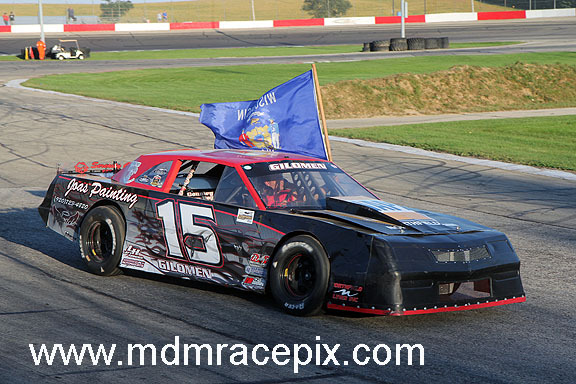 Wisconsin’s Action Track would like to thank all the fans, sponsors, and race teams for a great season. 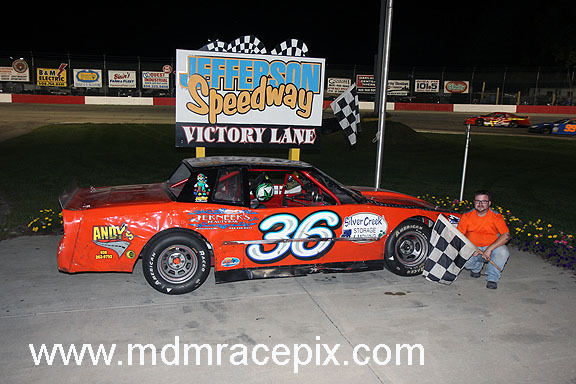 Stay tuned to jeffersonspeedway.com for important announcements regarding upcoming events. 6 7H Robert Hansberry Jr.
1 7H Robert Hansberry Jr.
20 7H Robert Hansberry Jr.
2 35S Gary Stark Jr.
7 35S Gary Stark Jr.
6 22L Leroy Gronert Jr.